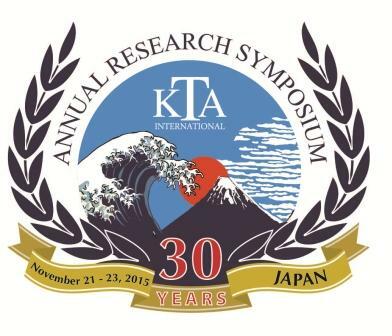 The 2015 Kinesio Taping Association International Research Symposium will be held November 21-23 in Tokyo, Japan. To celebrate the 30th Anniversary event, not only do we have a fantastic line up of international presenters, but KTAI also added some bonus features to this year’s event! In addition to presentations, posters, workshops and keynote speakers, this symposium will provide the unique opportunity to visit Japan with the guidance of our Japanese colleagues. This is Dr. Kase’s home town, and his chance to play host to members of the international Kinesio Taping family. Start making plans to join us in Japan this year! For this milestone event we’re going back to Japan, where Kinesio Taping got its start. From a concept in the mind of one clinical practitioner, Dr. Kenzo Kase, to the worldwide community of healers we represent today, it has been a great journey and we’re ready to celebrate! The research to be discussed will include not only studies from Kinesio Taping experts all around the world, but also work from members of the Society for Kinesio Taping Therapy, a university based research group in Japan which has been conducting research for years in collaboration with Dr. Kase and members of KTA Japan. The presentation schedule has now been announced, and it may be the best yet. 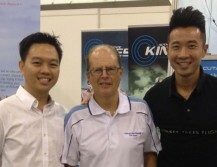 Guest speakers Dr. Kenzo Kase, Dr. Jean-Claude Guimberteau and Professor Hans-Michael Klein will be joined by research presenters from around the world as we highlight the current research and findings relating to the Kinesio Taping Method. Click here to view the agenda. While the Symposium is first and foremost about research, it’s not all work and no play. As part of the 30thanniversary celebrations, Dr. Kase and KTAI have added two special bonus features to this year’s event. The first is the social dinner. This has been an optional extra added to the Symposium for many years, but this year one ticket is included in your registration fee. So for no extra cost, join us for a buffet style dinner, experience a Japanese-take on fusion cuisine, and enjoy the company of Kinesio Taping enthusiasts from around the world in an informal setting. Bringing family or friends to Tokyo who aren’t registered for the Symposium? Purchase extra tickets for the social dinner during the Symposium registration process (limited additional tickets available). The second bonus event promises to be the experience of a life time. As we return to the birthplace of Kinesio Taping, we invite you to join us for a true Japanese experience, ON KTAI! Izu Peninsula is a resort area known for its beautiful coastlines, beaches and scenic mountain interior, delicious food and natural hot springs. Natural hot springs (“onsen”) have been enjoyed by visitors in Japan for over 1500 years. A typical hot spring experience brings about ultimate relaxation, the perfect way to unwind after the Symposium! The excursion is included with your registration fee, as a thank you for helping us to celebrate this special event. Bus transportation from the Symposium venue on Monday afternoon to Oohito, traditional Japanese dinner and drinks on Monday evening, hot springs access, one night hotel accommodation (in a shared group room), breakfast and bus transportation to the nearby train station where you can take the bullet train back to Tokyo, or on to your next Japanese adventure!